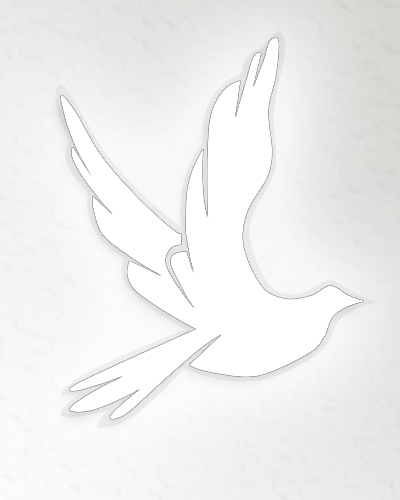 Obituary for Corrine Marie Rose | Lanman Funeral Home, Inc.
We honor the life of our mother, Corrine Marie Rose, who was welcomed to her heavenly home Friday, October 19, 2018. Corrine Marie Brattin Rose was given the gift of life in Kiowa, Kansas on August 26, 1926, daughter of Thomas Homer Brattin and Leona Ann Weatherly Brattin. She attended all of her school years in Kiowa and graduated with the class of 1944. She was united in marriage with Clarence E. Rose on December 31, 1945 and they raised two children, Douglas A. Rose of Kiowa and Nancy R. Copeland of Phoenix, Arizona. She was employed at The Kiowa News as news editor and typist for eighteen years and had retired in 1985. She was a faithful member of the Kiowa United Methodist Church, dedicated and involved teaching first and second grade Sunday School for many years. She sang in the choir and was a member of the United Methodist Women (UMW) where she served as President and held many other offices. She served as Vice-President of the Winfield District UMW, Secretary of Missionary Education and was on the nominating committee. She served her community as a volunteer at the Red Cross Bloodmobile and the General Store. Corrine is preceded in death by her husband, Clarence; her parents, Homer and Leona Brattin; two brothers, Charley and Tom Brattin; two sisters, Berniece Wetzel and Betty Lieurance. She is survived by her son, Doug Rose and wife, Mary; her daughter, Nancy Copeland and husband, Jim; five granddaughters; twelve great grandchildren and many more relatives and friends. Corrine loved her family and friends and helping them in any way she could always gave her great pleasure. It was the simple things around her in life that she never took for granted, commenting daily how fortunate and thankful she was. She was a woman of strong faith, believing in the power and strength of God's love and the beauty and peace awaiting her. She wants us all to know, "God is good, all the time and all the time, God is good!" Funeral service for Corrine Rose will be Tuesday, October 23, 2018 at Kiowa United Methodist Church at 10:00 a.m. Burial will be in Riverview Cemetery with arrangements by Lanman Funeral Home, Inc. of Kiowa. There will be no viewing. www.lanmanmemorials.com Facebook: Lanman Funeral Home Inc.
Memorials may be made to Kiowa United Methodist Church through the funeral home.